The Historic Preservation Commission is a body of citizens appointed to be responsible for the designation, preservation, protection, renovation and use of historic properties and/or historic districts within the City as part of Dickinson’s designation as a Certified Local Government (CLG). The CLG program is a partnership between local, state and national governments focused on promoting historic preservation. It is administered by the National Park Service and the North Dakota State Historic Preservation Office. The Dickinson Historic Preservation Commission is the local partner designated to implement CLG business on behalf of the City of Dickinson. 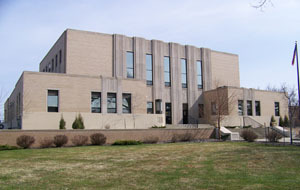 The Director of the Dickinson Museum Center serves as Historic Preservationist and staff liaison to the City’s Historic Preservation Commission. The Commission meets the second Tuesday of each month at 4:00 p.m. MT. Meetings are held in the Conference Room at the Dickinson Museum Center. All Commission meetings are open to the public. 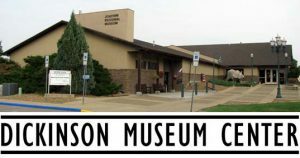 If you are interesting is serving on the Historic Preservation Commission, please submit your most recent resume or CV and a Citizen Interest form to the Dickinson Museum Center. 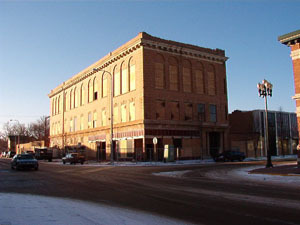 Both the Dickinson City Commission and the State Historical Society of North Dakota must approve of all nominees to the Dickinson Historic Preservation Commission. Federal agencies and their delegates are required to consult with the State Historic Preservation Office (SHPO) about potential impacts that federal projects may have on historic properties listed in or determined to be eligible for National Register of Historic Places. The Historic Preservation Commission will review and may comment on any such submissions received from the SHPO. In 2008, the Dickinson Historic Preservation Commission created the Local Landmark Program to acknowledge and honor properties that are considered to be historically significant to the local community. Properties must be within the Dickinson city limits and may or may not qualify for the National Register of Historic Places. The Local Landmark Program was created to acknowledge and honor properties that are considered to be historically significant to the local Dickinson community. 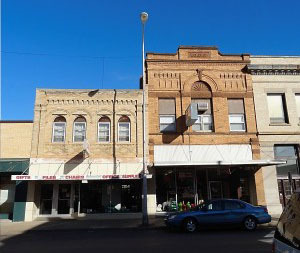 Properties must be within the Dickinson city limits and may or may not qualify for the National Register of Historic Places. To nominate a property as a Local Landmark, fill out the nomination form below and return it to the City of Dickinson’s Historic Preservationist at 188 Museum Dr. East, Dickinson, ND 58601 or info@dickinsonmuseumcenter.com. Independent Order of Odd Fellows Lodge and J.P. Moir building. 30 and 36 1st Avenue West. Approved November 15, 2012. Stark County Courthouse. 51 3rd Street East. Approved January 22, 2009. Dickinson Post Office. 15 1st Street East. Approved January 22, 2009. 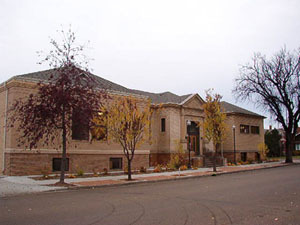 Dickinson Public Library. 139 3rd Street West. Approved January 22, 2009. 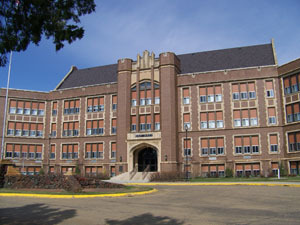 Dickinson State University. 219 Campus Drive. Approved January 22, 2009. Historic Elks Building. 103 1st Avenue West. Approved January 22, 2009.